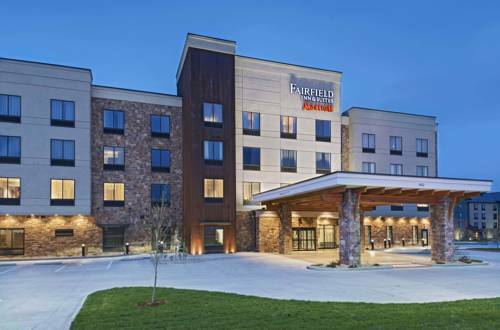 Western charm meets modern comfort at Fairfield Inn & Suites Cheyenne Southwest/Downtown Area. With multifunctional spaces and locally inspired decor, we provide the ideal setting for both business and leisure stays in downtown Cheyenne. Start each day with our complimentary hot breakfast, and enjoy constant connection with free, property-wide Wi-Fi access. When it's time to unwind, spread out in contemporary rooms and suites with pillow top mattresses and flat-panel TVs. You can also brew a cup of coffee or microwave a snack from the convenience of your room. Situated near the intersection of I-25 and I-80, we are just minutes from desired destinations including the Wyoming State Capitol, Warren Air Force Base and Terry Bison Ranch as well as downtown museums and restaurants. At Fairfield Inn & Suites Cheyenne Southwest/Downtown Area, youre our #1 priority. Ask us about The Fairfield 100% Guarantee , where we promise you'll be satisfied or we'll make it right. That's our commitment to you. Lee Maxwell, passionate collector of ancient washing machines, has his total up to 1,408 at last count.